It’s road trip season, launched by Memorial Day and “School’s Out” for Summer soooo soon (Yes, Alice Cooper is roaring in my head). 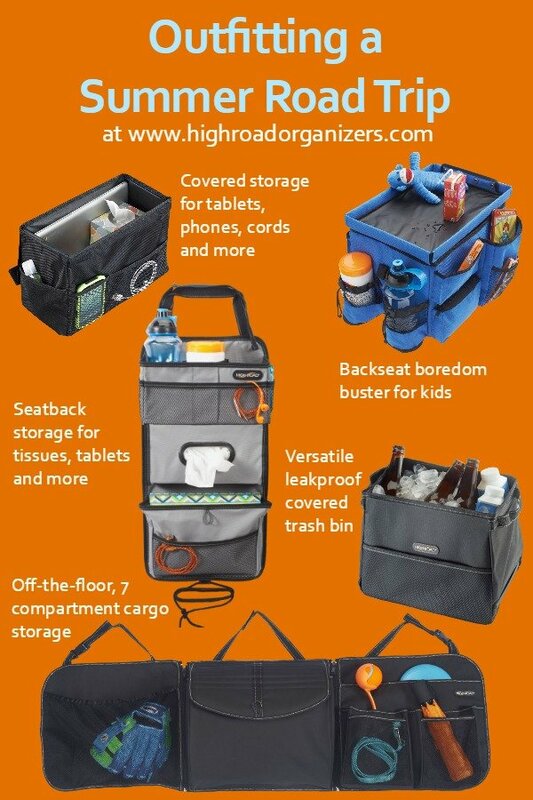 In readiness, I’m proud to say that I’ve joined the PAID (disclosure is both ethically and legally required) affiliate program for High Road Organizer car products. Here’s why: see the “versatile leak proof covered trash bin” in the photo below? I’ve got three of this version in my car. My car which has 127,000 miles on it. The car that has jaunted to Boise, Idaho and Republic, WA multiple times each destination. I’ve had them for YEARS. I SWEAR by them. I’ve washed them in my laundry machine (which I don’t think you’re supposed to do), dropped them WHILE FULL, snagged them on my gear, and generally ill-used them to the point where I’m astonished they still work. AND THEY DO. WONDERFULLY. No leaks. No odors. No problems. Please look at this creative, reliable company’s full range of products. There may be many items that help you make your car a much more pleasant and functional environment. Clicking on the images will send you straight to the website.